head diy Design Fanatic: Stenciled Jewelry Organizer & A Giveaway! Stenciled Jewelry Organizer & A Giveaway! I'm so glad to be revealing the project we've been working on for some time now. It's not that this project was a big one or that I've been procrastinating....I just worked on it little by little. 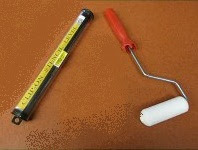 along with a foam roller, a clip on level, a bonus mini stencil and some very helpful instructions. They also have a great "how to" Youtube video. I wanted to make a stencilled jewelry organizer and bulletin board for my youngest daughter's room. The hooks in her closet weren't working for her. Here's a reminder of what my daughter's room looks like. I started with a plain bulletin board (on left) and a piece of plywood cut to match. The bulletin board and jewelry organizer are hung on a narrow wall to the right of her closet. We used drawer pulls to hang earrings on and cabinet knobs for bracelets and necklaces. Would you like to win a Cutting Edge Stencil stencil? Cutting Edge Stencils is giving away one stencil up to a $50 value for one winner. The winner will be announced Monday, June 18th. Giveaway is open to US Residents only. Free shipping will be provided. MANDATORY: Be a follower of diy Design Fanatic Blog (Google Friend Connect, Blog Lovin', Email). Leave a comment below telling me how you follow me. FOR A SECOND CHANCE: Visit Cutting Edge Stencils and leave us a SECOND COMMENT HERE AT THE BLOG (this post) letting me know which stencil you'd love to win. FOR A THIRD CHANCE: “LIKE” Cutting Edge Stencils on Facebook. Leave a NEW COMMENT below letting me know that you have liked them on Facebook. FOR A FOURTH CHANCE TO WIN: Post about the giveaway on your Facebook or Twitter and come back and leave a new comment telling me that you did. THAT’S FOUR CHANCES TO ENTER TO WIN!! THANK YOU SO MUCH to Cutting Edge Stencils for providing a stencil to me and for this generous giveaway!!! Wow! That really turned out great! Love the color! I'm a follower and would love to win a Cutting Edge stencil!! It's hard to pick, but I love the Zagora all over stencil! Oooo, the stencils are so pretty! I am a GFC follower of this blog! I liked Cutting Edge Stencils on Facebook as A Silver Snapshot. I posted about the giveaway on A Silver Snapshot's Facebook. I would love to win the zinnia grande Flower stencil! I'm a follower via email and i love cutting edge stencils! Oh how i would love to win one! Great idea and color choice! I follow via FB. I would love to have the Zinnia Grande Flower Stencil! I'd love to win the Zagora stencil! I'm following by email. I love how the bulletin board and jewelry organizer turned out! I recently found out my cousin is expecting, so I'd love to be able to get a nursery stencil, so we can do something fun in her nursery! I would love their dandilion stencil for my office! I love so many of the stencils but the paisley is cute! I am following your site via google. I love the Zamira all over stencil, but it's so hard to choose just one. I'd love to win the Moroccan Dream stencil! I'm a follower of your blog diy Design Fanatic. I also follow you on GFC. 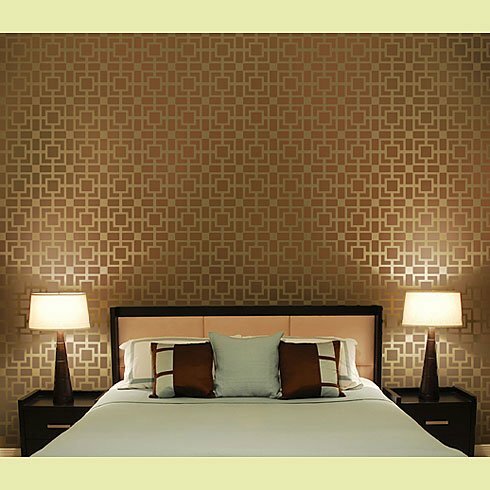 I would love to win the Zamira Allover Stencil. That's a great project! I am a GFC follower and would love to win! I love how you used your stencil. The picture bulletin board and jewelry organizer look beautiful. Fabulous job Pam! Love the colors you chose and the knobs and pulls! Very cute! I am a recent follower @ cutting edge.I am trying to learn stenciling to overcome pain from fibromyalgia.I try and paint to escape the oain. 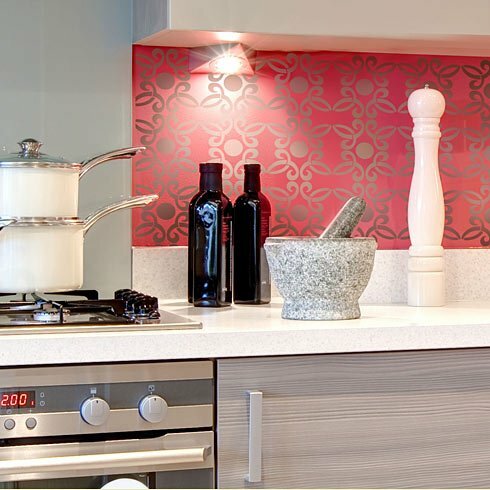 I am in total love with the zamira all over stencil.Thinking my kitchen backsplash would look awesome in turquoise and silver. I follow you thru GFC and I would love to win this great giveaway! I posted your great giveaway on Facebook "pick me" please. Fantastic giveaway!......Love the jewelry organizer and bulletin board...turned out amazing...! I have been a happy follower thru email!! 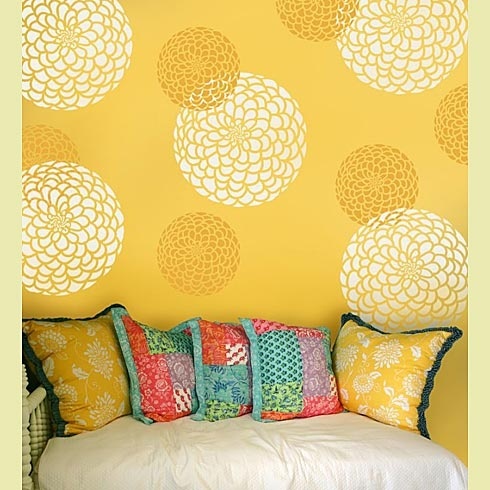 I love the Marrakesh Trellis Allover Pattern...Great stencil! Hi... I'm new to following your blog - thanks for all your. creative ideas! I follow you via email. Would LOVE to win a stencil! Following you via email - LOVE the Trellis design! So Classic! Liked on fb! Yeah for stencils! That turned out so cute Pam! Don't count me in on this, because they already gave me one a while back. They are fabulous. I would absolutely love to win the Fleur Craft Stencil!! I can envision using it in several rooms, while making it look completely different every time! I already "LIKED" Cutting Edge Stencils on Facebook. Hope I win! Thank you! Just found your blog via Pinterest. I'm a follower now. I would choose the Casablanca craft stencil. So many neat ones to choose from! I "liked" Cutting Edge Stencils on Facebook. Thanks for the giveaway! I love, love, love the Anna Damask stencil. Thank you so much for the giveaway! I am a follower of Cutting Edge Stencils on FB. I am a new follower through Networked Blogs! Love your posts! If I won this contest, I would pick the Paisley Allover design. I want to redo my kitchen table by painting this design on the top in white and then staining the to dark brown. Thanks for offering this contest! I posted about your giveaway on my Facebook Page! Thank you for this opportunity!! Hi! I'm following via GFC now. Thank you!! OOh... I love the Fuji Allover Stencil. I could think of a lot of places I'd slap that bad boy up! Love your blog. I am a follower. I'd love to have the Marrakech Trellis stencil. Thanks. Awesome and very informative blog! Keep it up and more power to you!